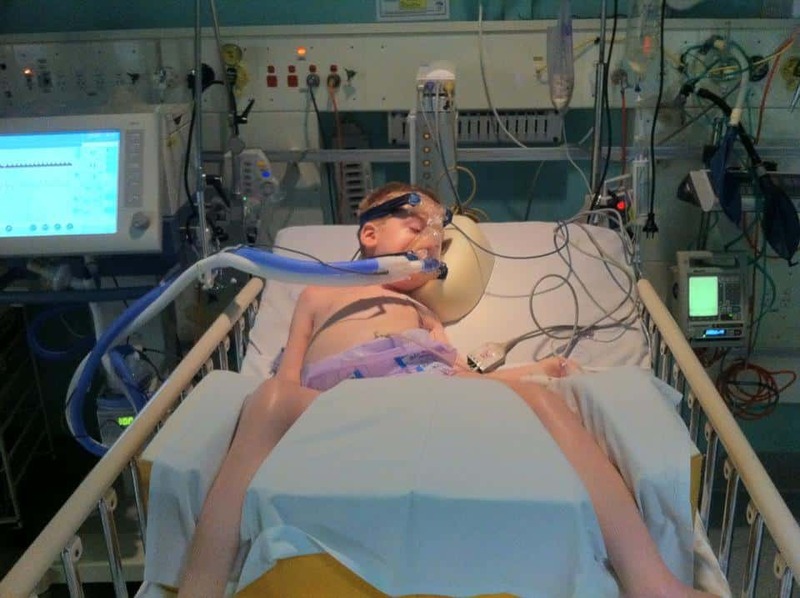 This post is being written sitting bedside in the Intensive Care Unit at the Childrens Hospital…. It’s the second time we’ve been here this year and our seventh time overall (read this if you want to know the background to how we got here). I’ve spent the past three days watching Samuel, watching the numbers on the monitors, asking questions etc etc etc….. But I’ve also had plenty of time to sit here and think about the experiences of being in and around this hospital and the things that I’ve seen and heard in five and half years of being back and forth. The things I’ve observed are things that go on…..
year to year…….. I’ll share them as a series of observations, so here goes with part 1. The soft show shuffle goes on, on. It consists of all those soft soled shoes that the nurses wear, constantly coming and going. The tempo of the shuffle tells you a lot about what is happening at any given period of time. The hurried heavy foot steps when a child’s monitor goes into particular types of alarm, or an emergency button is pushed. The calm stop start as they accompany a child on a walk through a ward. The tip toe shuffle as they quietly move about in the middle of a night shift doing their checks. This is a unique ritual that occurs within the hallowed halls of a teaching hospital. The alpha doctor patrols his or her turf with a sense of confidence and ownership, followed by a tribe of beta’s (the registrars) and pack (the residents). They perform their own version of unique rituals as they come to see a child, depending on what specialty they represent. It’s an interesting dance routine to follow, especially when you have a child that has quite a few of these tribes involved in their care. Negotiating the dance can sometimes feel like needing to be an international diplomat, the different tribes are concerned primarily with their “patch” of your child, and sometimes don’t think (or appear not to think) about the implications of their directions on the other tribes and the treatments they have already planned. There is also another big challenge in this tribal dance….. the tribes are pulled apart and re-assembled every three months….so after spending three months becoming educated in a particular specialty.. the beta’s and the pack get to go back to scratch and begin working up a working knowledge of a new specialty area and then…… every year members of the pack become beta’s, some of the beta’s become alphas (or go off to practice elsewhere). Parent also play a big part in the education for the tribes. Parents of complex kids help out regularly by doing “case studies” with the pack and beta’s as they prepare for progression with the the tribe. Giving them a chance to practice getting a full history and thinking about how they would come up with an overarching treatment plan for your child. Practice for their exams as Pediatricians. Getting them to remember that the parent they are dealing with is the EXPERT in the child they are seeing is a big part of the education process.. sure they have a six year medical degree and a certain amount of practical experience and they may be the expert in a particular field of medicine… but the parent (and/or the child depending on the condition and age etc) are the EXPERTS in how the disease, illness, infection etc is affecting THIS child.. and again to give them their dues the vast majority of the doctors have learned this by the time they assume a Beta position within the tribes… those that don’t, soon become a nightmare for parents, but thankfully this experience has been rare. This entry was posted in choices, Patterns, persistence, Resilience, Thoughts and tagged Children, consequences, Patterns, systems, Thoughts by Mick Morris. Bookmark the permalink.